The 1970s and 1980s were years of momentous events on the global scale, and especially young people searched for different ways to express themselves artistically outside from the institutional framework and social conventions. 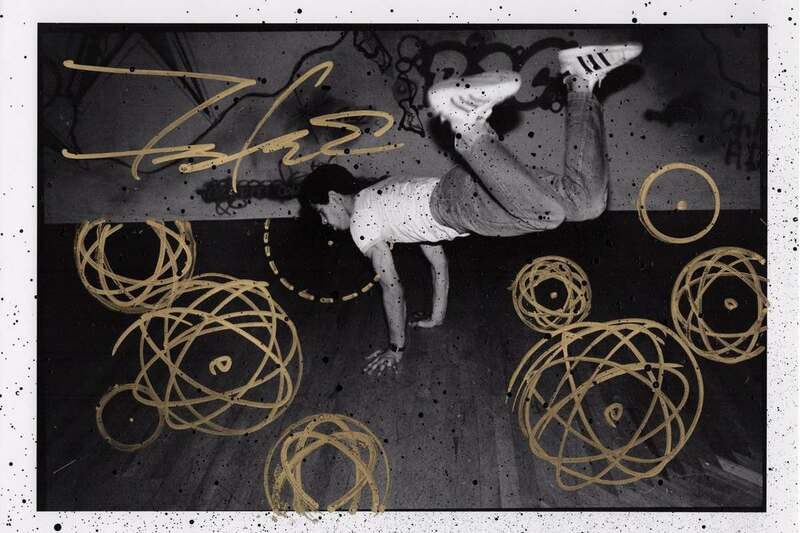 The public space became new territory to conquer and so that is how the graffiti scene started blossoming. A great number of artists from that time became legendary, and since their activity encompassed other media it is not surprising that they collaborated with other artists close to them. 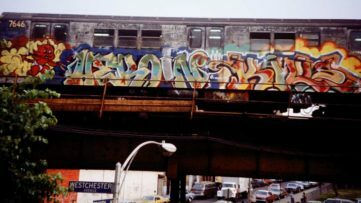 The upcoming exhibition at Fahey/Klein Gallery under the title The Mash-Up will focus on the collaborative works made by British photographer Janette Beckman and some of New York’s most important graffiti artists. Janette Beckman is a New York-based British documentary photographer. Much of her shoots are taken in exteriors, but she also does portraits in a studio. Her works were and still are used for various records and were published in major magazines such as the Rolling Stone, Mojo and The Times. Beckman started her career in the midst of punk and new wave era by working for Melody Maker and The Face. She shot bands like Siouxsie and the Banshees, Clash and Boy George. 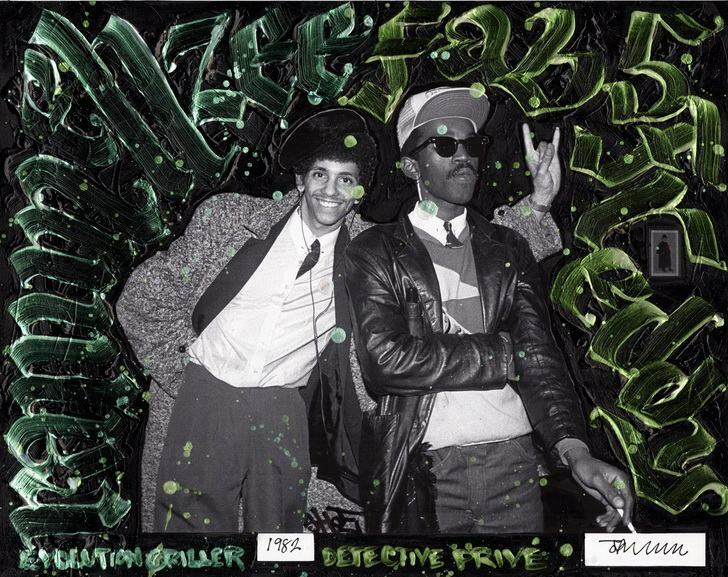 In 1983, the artist moved to New York where she became fascinated with the developing underground graffiti and hip-hop scene so the main proponents of the scene like RUN DMC, Slick Rick, Salt-N-Pepa, Grandmaster Flash, Zephyr and Big Daddy Kane are captured in her photos. 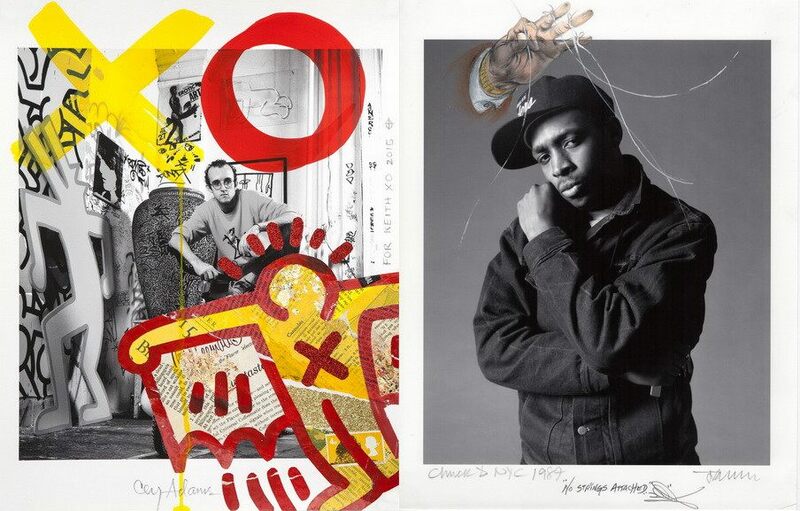 The selection covers the series of iconic portraits of influential DJs and MCs which are then intervened upon them – by painting on them, drawing on them, and/or turning them into collage. 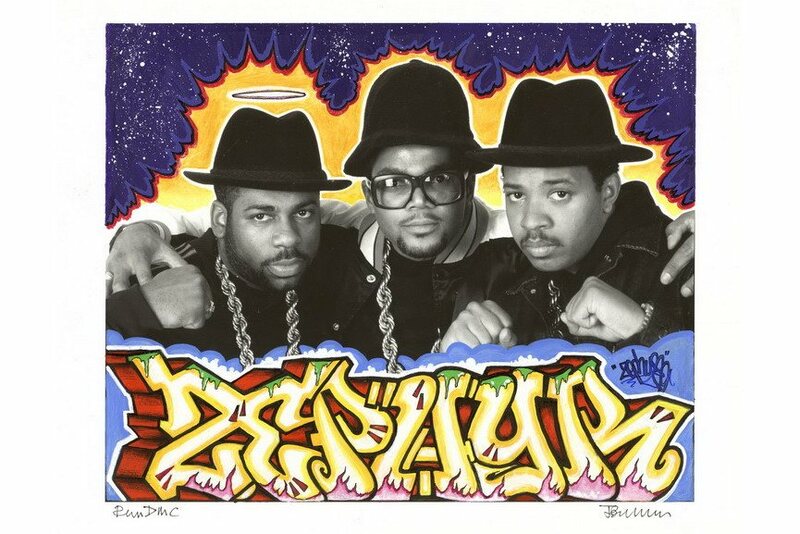 The Mash-Up series was initially curated by artist and former Def Jam Creative Director, Cey Adams, who selected the participating artists together with Beckman. The idea was that each artist selects a photo from her archive and enhances it in their own distinct manner in order to produce a new piece. 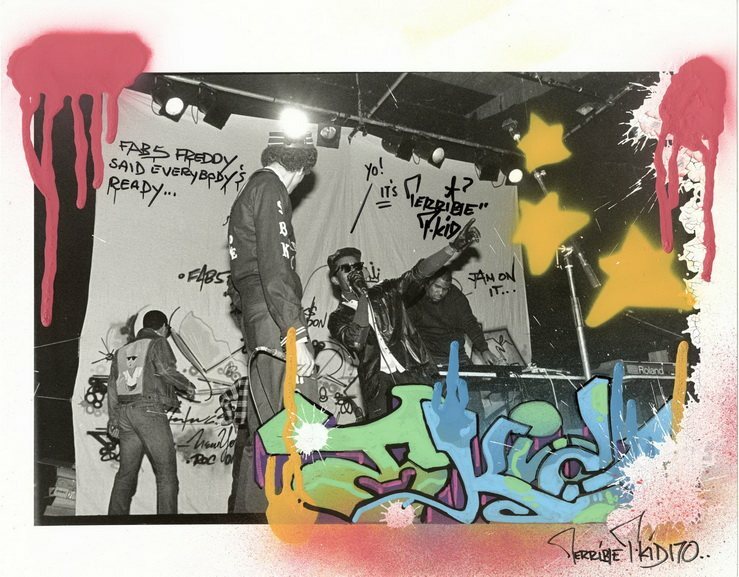 The mashups will be followed by Beckman’s photography made during London’s punk era, as well as the birth of New York City’s hip-hop culture. Janette Beckman still lives and works in New York City and devotedly maps the subcultural activity of the city by documenting subjects such as Manhattan-based dirt bike bandits, The Go Hard Boyz, an illegal girl fight club in Brownsville, New York, and the hard-nosed rodeo riders of the River City Rodeo in Omaha, Nebraska. Her photographs can be found in the permanent collections of the Museum of the City of New York, the Smithsonian Museum, and the Musée des Civilisations de l’Europe. Simultaneously, Beckman did editorials for clients such as Dior, Kangol, and Shinola. 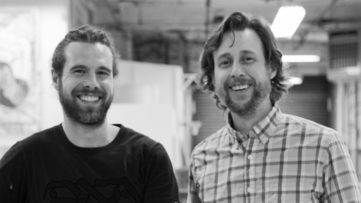 The Mash-up will be an important historical survey of the movement and the city, and will be accompanied with the extensive publication produced by Hat & Beard and Fahey/Klein Gallery. This exciting exhibition will be opened at the Fahey/Klein Gallery in Los Angeles from 11 October until 24 November 2018.